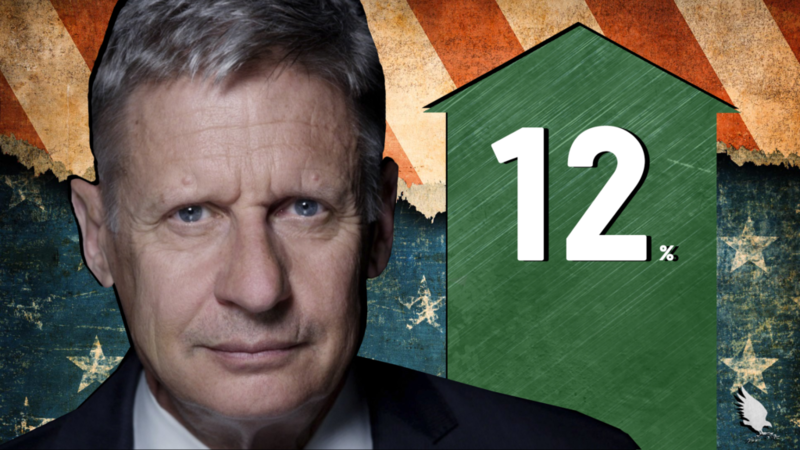 Over the past few weeks, Libertarian presidential nominee Gary Johnson’s poll numbers remained fairly stagnant; having earlier retreated to an average just below 10% (being as low as 4%) and holding stead. A new IBD/TIPP poll, however, released Friday, gave good cause for renewed hope, as governor Johnson rebounds to just 3 points shy of the CPD threshold for debate inclusion. Donald Trump’s increased support in this poll is also significant. The billionaire real-estate mogul has managed to surge in the last few days, erasing Hillary Clinton’s lead and even taking it from her in both the latest Rasmussen and LA Times polls. These are certainly interesting numbers. As Gary and Donald advance, Hillary retreats. 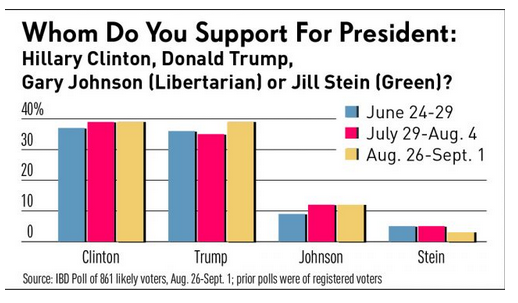 Last month we reported on how polling data seemed to suggest that Johnson likely “takes” more votes from Hillary than Trump. This latest data seems to corroborate that hypothesis (at least anecdotally). Governor Johnson’s recent inundation of both vocal and financial support from a former GOP Billionaire and Blue Collar Comedy star Larry the Cable Guy may be indicative of the former New Mexico governor’s rising visibility within the general populace. Is it just now being reflected in his rising poll numbers? What do you think? Does this surge provide the necessary slack to allow Johnson into the debates? Is it too little too late? Let us know on Facebook or in the comments below.